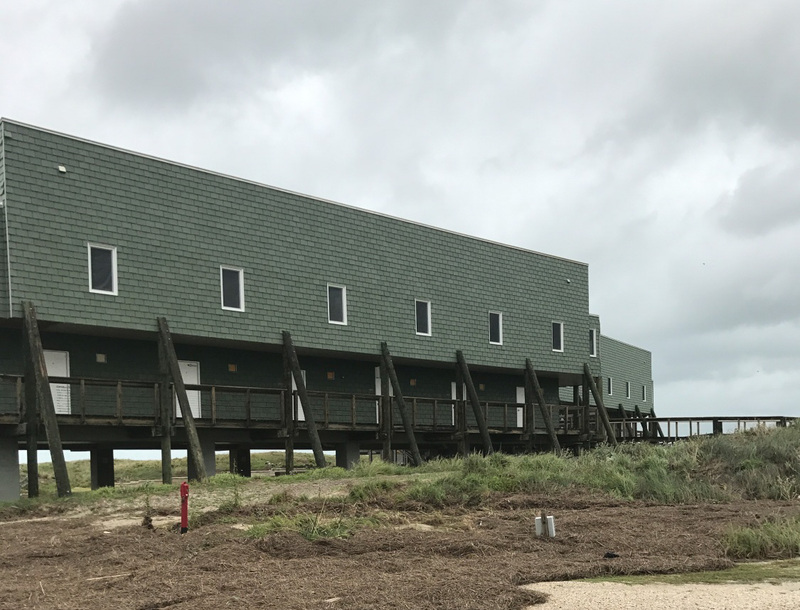 When Hurricane Harvey barreled into Texas in 2017, it made landfall as a Category 4 hurricane just six short miles from the Mustang Island Episcopal Conference Center. 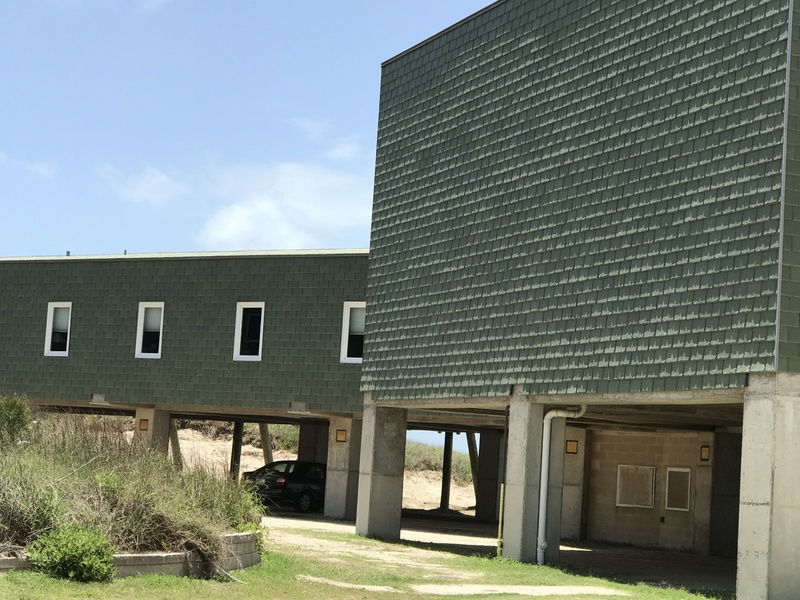 Severe weather conditions caused 100 percent of the structures in nearby Port Aransas to sustain damage, and buildings at Mustang Island State Park were mostly destroyed. But not the conference center. 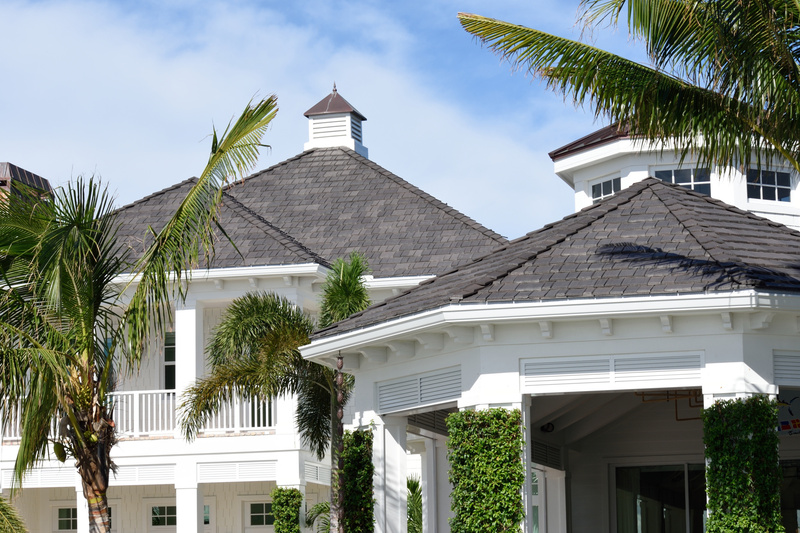 Just months earlier it completed installation of impact-resistant DaVinci Roofscapes composite tiles in mansard-style and rooftop applications on several structures at the oceanfront property. "Wind speeds were between 120 and 140 mph when Harvey came ashore," says Rob Watson, with the Episcopal Diocese of West Texas. 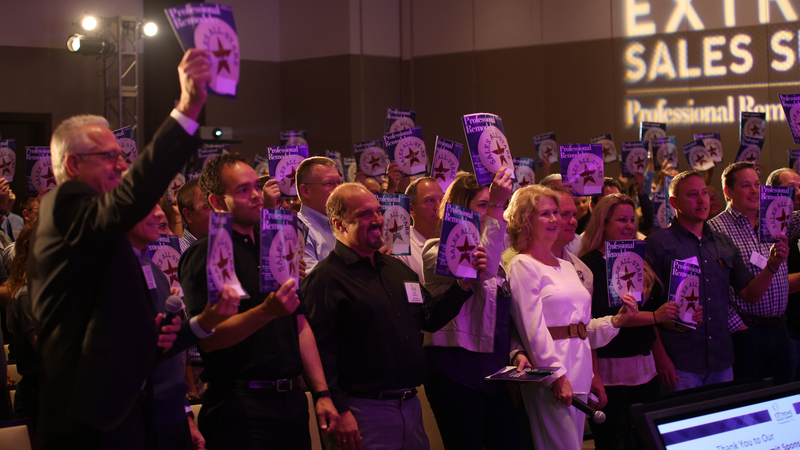 "We can't say enough about the DaVinci product. Only a few shingles blew off during the storm and the conference center received little structural damage. "When we originally researched the DaVinci roof we were told it would stand up to hurricane conditions. I didn't expect we'd have to test that claim so soon. I was pleasantly surprised that the tiles held their ground." Richter Architects recommended the Single-Width Slate composite roof product to replace original fiber cement products installed in 2002. The DaVinci tiles were specified for both side wall applications and roofs for buildings at the Mustang Island Episcopal Conference Center. In Florida, Mary and Larry Anderson also put their new DaVinci composite roof to the test last year when Hurricane Irma came for an unexpected visit. Located in Jupiter, Florida, the 9,000-square-foot-waterfront home sustained no damage from 90+ mph winds and several inches of rain. The Anderson's credit strong construction and the use of reliable building products, such as DaVinci Roofscapes composite roofing tiles, with keeping their home safe during the storm. 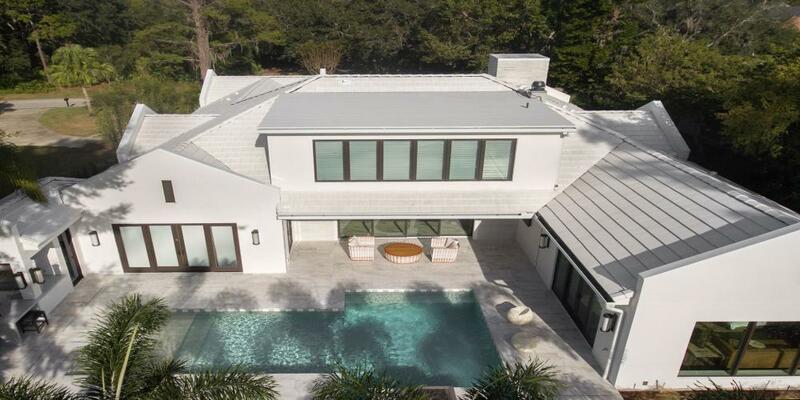 The Anderson's dream home features a four-car garage, guest house connected by a breezeway, dock, expansive landscaping and distinguished copper roof accents. It also features a Bellaforté Shake roof in Mountain. "My wife researched faux slate tiles on the Internet and found DaVinci," says Anderson. "We ended up using the composite shake product and it looks absolutely beautiful --- better than the real thing!" The roof on the sprawling home (which encompasses 12,000-square-feet when considering the porches and breezeways) was installed by Sun Catcher Roofing. 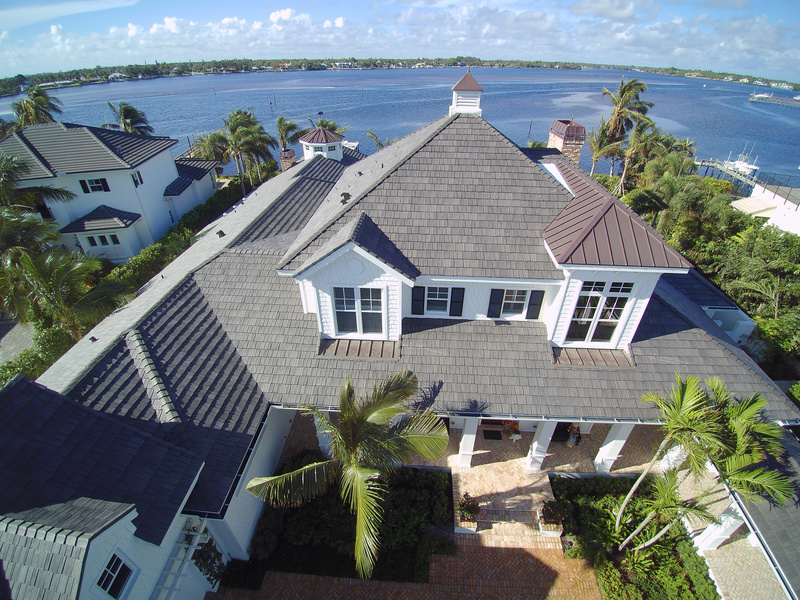 "The quality of the synthetic tiles, the manufacturer's lifetime limited material warranty and the simplicity of installation all make this a dream roof for a dream home,” says Dave Neddeff, owner of Sun Catcher Roofing.